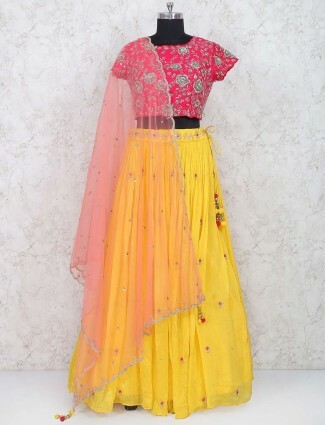 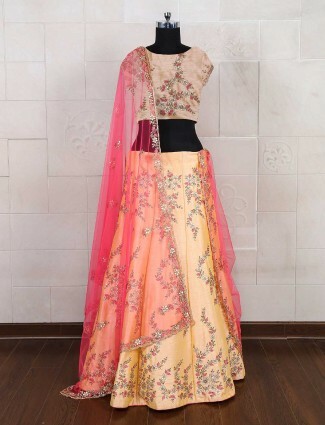 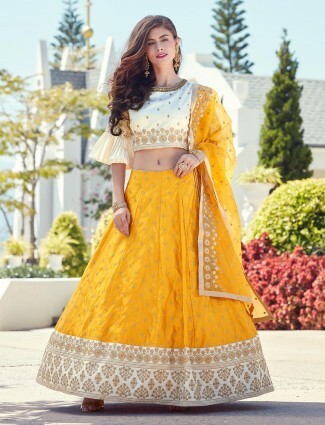 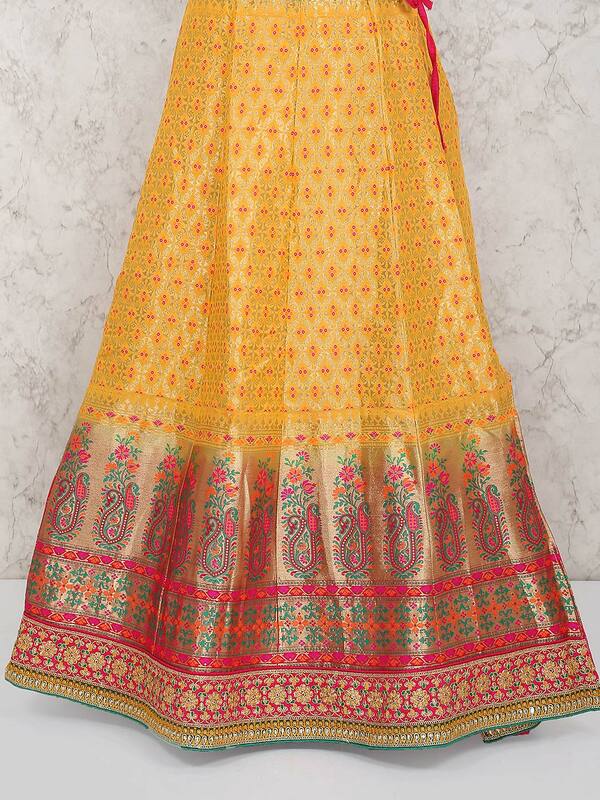 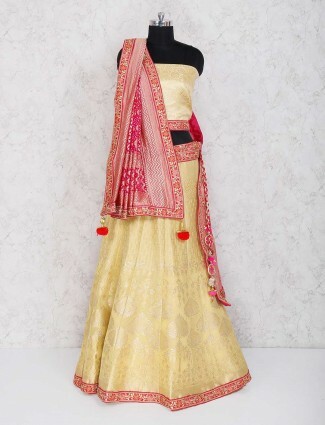 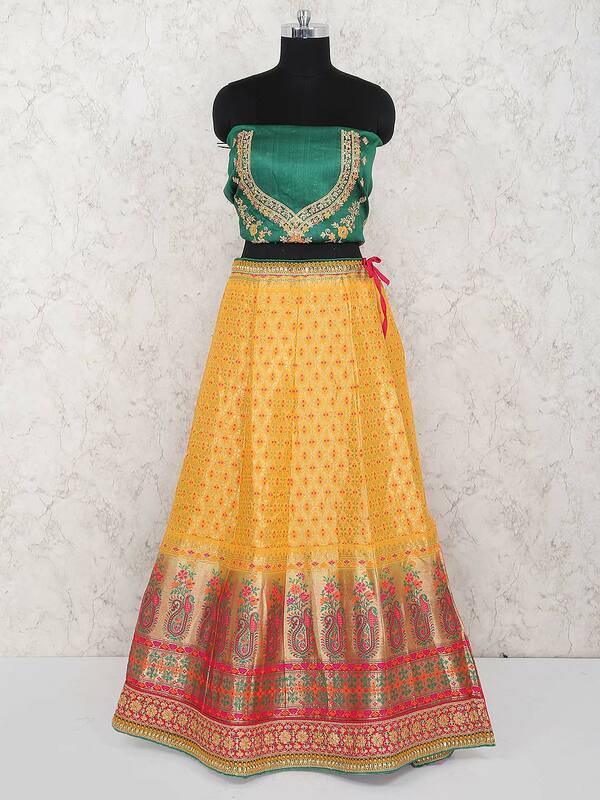 Create a marvellous look by wearing this gorgeous yellow colored semi stitched lehenga choli in wedding ceremony. 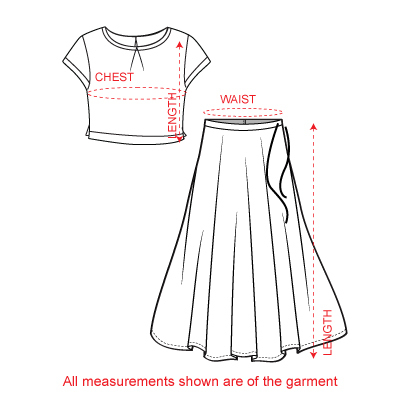 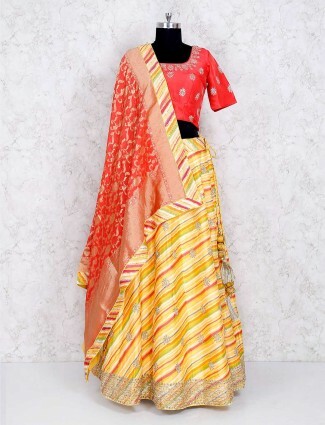 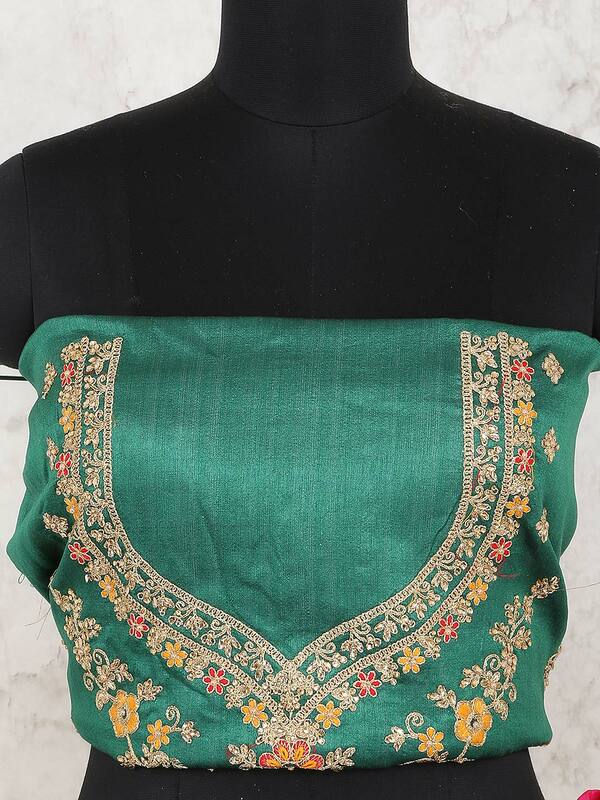 Beautify with zari and thread weaving all over. 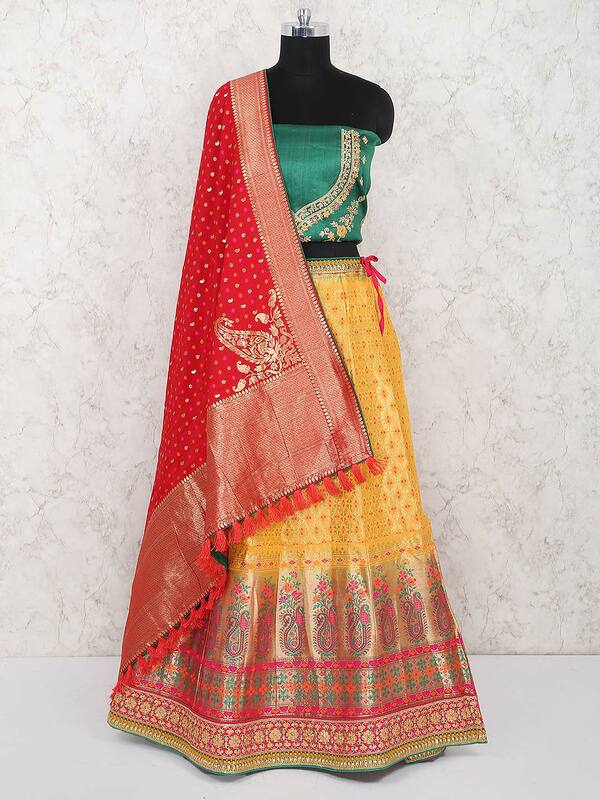 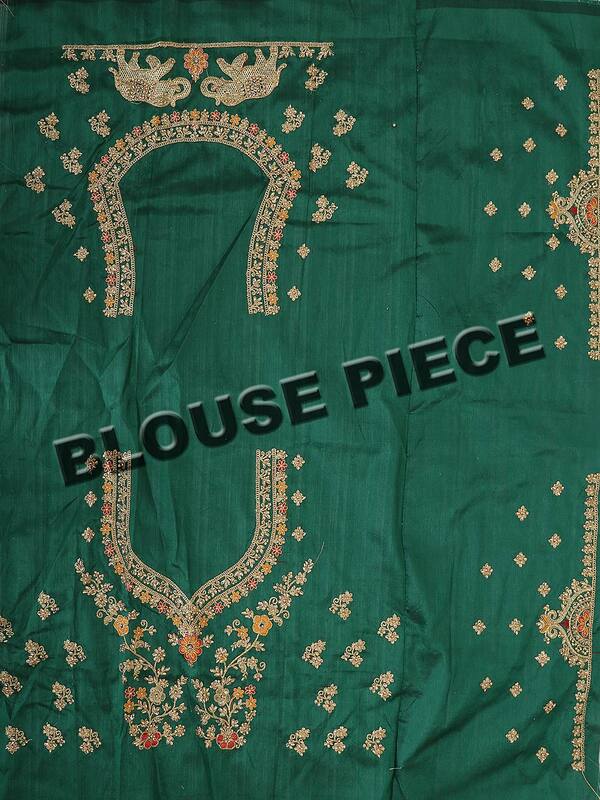 Comes with unstitched blouse piece and contrast dupatta.